In an illustration of Napoleon’s “career open to all talents,” Simon Bernard rose from modest origins to become an engineering general in the Grande Armée. He attracted Napoleon’s personal attention when, as a young officer, he had the nerve to give the Emperor unsolicited advice about campaign plans. After Napoleon’s 1815 defeat, Bernard spent 15 years as a military engineer in the United States Army, where he had a huge impact on America’s coastal defences. Simon Bernard was born in Dole, France on April 28, 1779, the son of a plasterer. Educated thanks to the charity of monks, Bernard proved a keen and intelligent student. He was admitted to the École Polytechnique in Paris (the same school attended by Henri Lallemand). He then went to the Engineering School at Metz. In 1796 Bernard became a sub-lieutenant in the French army and was posted to the Army of the Rhine. He subsequently served in Italy. Bernard, who had been looking forward to the Austrian campaign, regarded the Illyrian posting as a punishment. When the campaign was over, Berthier (Napoleon’s chief of staff) did not include Bernard’s name on the list of engineers recommended for promotion. Napoleon himself wrote it in at the top. A few days later Bernard told Napoleon everything he wanted to know. In that capacity Bernard participated in the Russian campaign of 1812. His leg was wounded during the retreat from Leipzig in 1813. Later that year Bernard superintended the defence of Torgau while it was under siege. In March 1814, he was made a baron of the Empire and promoted to the rank of general. After Napoleon’s 1814 abdication, Simon Bernard served under Louis XVIII. When Napoleon returned to France after his escape from Elba, Bernard joined him. He took part in the Battle of Waterloo. When Napoleon was again forced to abdicate, Bernard stayed with him. He accompanied Napoleon to Rochefort. Had the British allowed it, he would have been happy to share Napoleon’s exile. With Napoleon imprisoned on St. Helena, Bernard was at a loose end. Though Bernard’s name was not on the list of proscribed officers, the Minister of War advised him to leave France for his own safety. Fortuitously the United States government was looking for a French military engineer to help improve America’s coastal fortifications. The War of 1812 had proved the feebleness of the existing defences, and French officers had superior training. General Simon Bernard arrived in the United States with his wife Anne Joséphine Von Lerchenfeld, whom he had married in Bavaria in 1809, and their two young daughters, Pauline (b. 1812) and Sophie (b. 1815). A son, Charles, born in 1810, had died in 1812. In New York in 1820 they had another son, named Columbus. Simon Bernard is best known for designing Fort Monroe in Virginia, the largest stone fort in America. He also designed Forts Adams, Hamilton, Macon and Morgan. In addition, Bernard taught at the US Military Academy at West Point, which is where Henri Lallemand tries to persuade him to join Napoleon’s force in Napoleon in America. Once, when passing Joseph Bonaparte’s New Jersey estate during the course of his duties, Bernard indicated that he would not stop because of the sensitivity of his official position. But just as he went past the Point Breeze gate, Bernard saw Joseph getting into his carriage and could not resist the urge to visit for an hour or two. Should my humble services have repaid partially what I owe to a great people, which, on all occasions, has shown to me so much liberality and confidence, I remain conscious, that those services will secure to me an honorable place in the estimation of my countrymen in France. Now aware that the noble task to which I have been associated is completed within the agency assigned to me, and conscious that the present unsettled state of Europe, and the political independency of my native country, place me under the moral obligation to tender once more my humble services to France, I beg of you, most respectfully, to accept of my resignation. 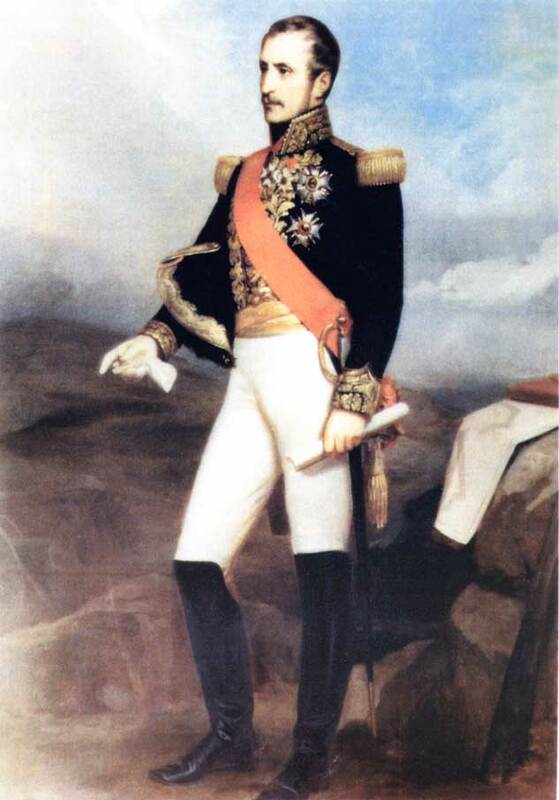 Bernard and his family returned to France, where he was welcomed by King Louis Philippe and tasked with preparing plans for the fortification of Paris. In 1834, Bernard was made a French peer. He served as Minister of War from September 1836 to March 1839. General Simon Bernard died in Paris on November 5, 1839 at the age of 60. He was buried in the cemetery of Montmartre. On learning of his death, President Martin Van Buren directed all US army officers to wear mourning for thirty days. For more about Simon Bernard’s impact on America’s defences, see “American Gibraltars: Army Engineers and the Quest for a Scientific Defense of the Nation, 1815-1860,” by Todd A. Shallat in the Winter 2008 issue of Army History. Bernard’s US appointment was recommended by the Marquis de Lafayette, who stopped at Fort Monroe during his tour of the United States in 1824. You can read about that in “Lafayette’s Visit to Fort Monroe in 1824 as Guest of the Nation” by historian Robert Kelly. Louis Antoine Fauvelet de Bourrienne, The Life of Napoleon Bonaparte, Vol. II (London, 1831), p. 380. Edouard Montulé, A Voyage to North America, and the West Indies, in 1817 (London, 1821), p. 50. Niles’ Weekly Register, Vol. 26, May 15, 1824, p. 166. Georges Bertin, Joseph Bonaparte en Amérique: 1815-1832 (Paris, 1893), p. 199. Stanislaus Murray Hamilton, ed., The Writings of James Monroe, Vol. VI, 1817-1823 (New York, 1902), pp. 165-166. Carl Bernhard of Saxe-Weimar Eisenach, Travels Through North America, During the Years 1825 and 1826, Vol. 1 (Philadelphia, 1828), p. 183. Niles’ Weekly Register, Vol. 41, Oct. 1, 1831, pp. 92-93. Great article on Bernard. He was quite the soldier. Thanks Pete. He was indeed. 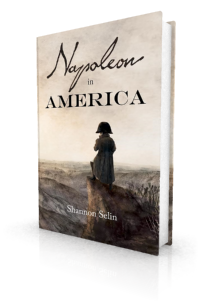 Shannon, Are you only interested in Napoleon or other aspects of History? Thanks for the question, Lori. I love anything to do with history, particularly pre-20th century. I’m currently focused on the Napoleonic era and early 19th century Europe and North America because that’s where research for the novels has taken me. Other areas of fascination include ancient Greece and Rome, Vikings, medieval Europe, the Renaissance and Enlightenment, and Tudor and Georgian England. Great story about the values of diligence, industry and patience. Glad to learn of your interest in Vikings. 1,000 years ago the Viking Hanseatic League traded with Byzantium via the Mediterranean, coping with the pirates of Barbary Coast, building fortifications in Sicily. They had an alternate overland route from the Baltic to the Black Sea via the river systems. Byzantian emperors employed them as their body guards, the Varangian Guard. Thanks, John. It’s amazing how far and wide the Vikings travelled. One of my favourite historic sites is L’Anse aux Meadows, site of their brief settlement in present-day Newfoundland. I’d love to get to Istanbul someday to see the Viking graffiti in Hagia Sophia. Baron Bernard is my husband’s ancestor, and the family (now Faury) still hold some memorabilia from him, such as his medals. I am very happy to read such nice lines about him. Merci! Avec plaisir! 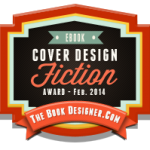 Thank you for writing. I have a great admiration for Baron Bernard. It’s lovely to hear from someone with such a personal connection to him. Your treatment of Bernard is both well researched and highly enjoyable to read. I am a Bernard enthusiast – as a Third System historian I believe that what was achieved is a major tribute to the Baron. I hold him as a genius in fortification design, taking the best of Vauban and Montelembert and creating formidable works. Thank you for your article! Thank you, John. I’m glad you enjoyed the article. Thanks for this excellent question, Jamie. My understanding is that Bernard personally designed Fort Monroe and his aide, Captain William T. Poussin (another Frenchman), completed the drawings. Ditto for Forts Hamilton, Macon and Morgan. Fort Adams was designed by Bernard and Colonel Joseph G. Totten, a fellow member of the Board of Engineers. I believe that Bernard designed the initial plans for Fort Pulaski, but these later had to be revised (under Lt. J.K.F. Mansfield), as the deep mud at Cockspur Island would have been unable to support the weight of Bernard’s design. I don’t know how involved he was in the design of the other Third System Forts. Good luck with the paper – it sounds interesting. Bernard’s plan for the Muscle Shoals canal in NW Alabama on the Tennessee River required seven years to complete and was wiped-out in one storm a few weeks after it was completed in about 1838. Thanks, Alvin. I didn’t know that. Are there illustrations of his aide-de-camp in America, Guillaume Tell Poussin? They worked together throughout their time in America. Not that I’ve seen. Perhaps someone reading this will know of an illustration and leave a comment. Do you know Major General Duportail, who asked for the creation of the US Corps of Engineers and became the main advisor of General Washington as soon Rochambeau and later De Grasse landed in the USA? In my opinion the fame of the French Corps of Engineers originated with the reputation of this outstanding officer. Thanks for drawing Major General Duportail to my attention. It sounds like General Bernard was following in a fine tradition. [Napoleon] possesses, perhaps, the most profound genius of this century, and in all probability, the best organized that ever came from the Creator’s hands.